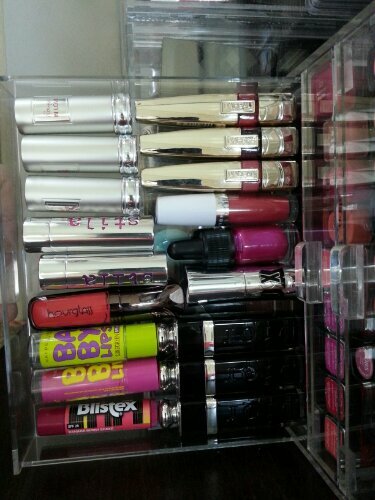 This is where the majority of my lipsticks live. It is a MAKEUP BOX SHOP AUSTRALIA small storage box, and set me back about $49- but as I find it much better made than any other acrylic makeup storage unit, it’s a cost I am happy to pay. It fits about 17-19 lippies in each drawer. I keep my glosses and most lip care items separate, also my crayon items or unconventionally packaged lipsticks live in my bigger ORIGINAL BEAUTY BOX deluxe beauty box. The Crazy for Lipstick TAG was originally a YouTube video and I will link below when I have uploaded mine, in the meantime I figured I would do a post as well. 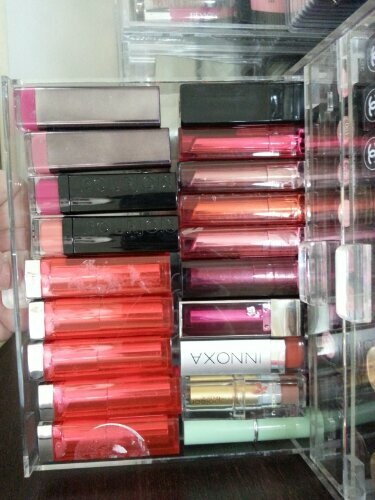 Bottom drawer houses Lancome Rouge in Loves, Stila Color Balms, an Hourglass liquid lipstick, some Maybelline Baby Lips and a Blistex balm, L’Oréal Glossy Stains, Maybelline 24 Hour, LUSH lippy, Buxom lippy, and a few Diors. 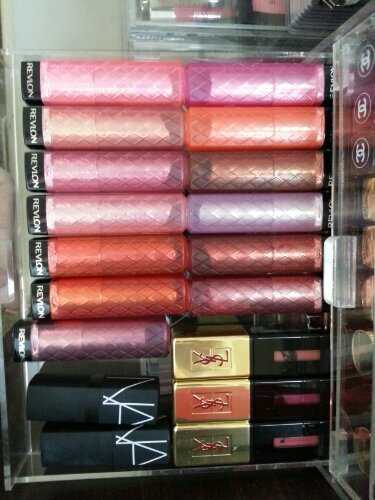 Next drawer up is a Maybelline centric drawer, with Vivids and Whispers and Color Sensational bullets galore. Clinique, Napoleon Perdis, Innoxa, a Bourjois or two, a random Lancome and the lovely essential Illamasqua Box also live here. Second from the top, this drawer is Revlon Lip Butter heaven and a couple of NARS lovers along with a trio of the wonderful YSL Glossy Stains get cosy together too. 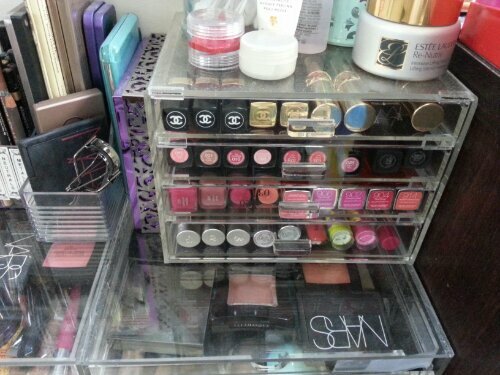 Last but not least is the very top drawer – I keep Lime Crime and undepotted MAC here, along with Chi Chi and Shiseido, all my Chanel and my fave YSL Rouge Voluptes – there is a gap in this photo because I was obsessed with my Shine in #13 at the time. Now, post-Sydney trip, I have another and it doesn’t fit so I will do some shuffling no doubt soon. My setup for Lipstick Land. 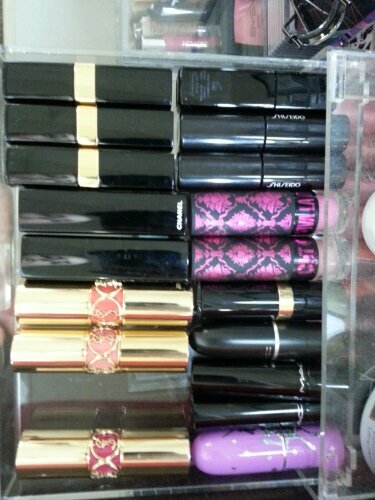 1 ↔ How many Lipsticks in your Collection? Approximately 76 bullets, then another 30 depotted that are waiting for a Japonesque pallette to arrive in my life. I also have a number of liquid lipsticks (Rimmel Apocalips) and glosses etc. 2 ↔ How old were you, when you started wearing Lipstick? Probably 18 or 19. I was late to the makeup game. 3 ↔ What (are) Lipsticks can’t you live without? NARS Dolce Vita, Chanel Rouge Coco Shine in #57 Aventure, Revlon Just Bitten Kissable Balm Stain in Honey and Dior Lip Glow. 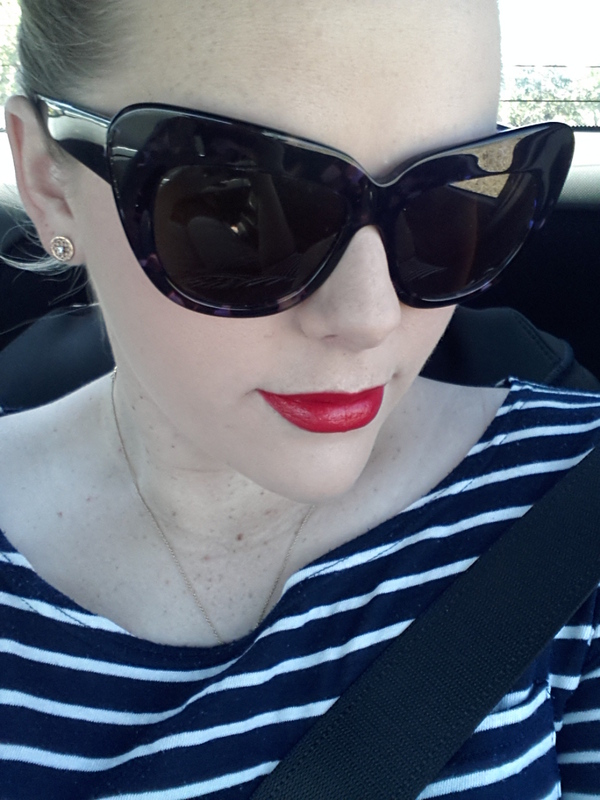 4 ↔ Show a Lipstick you use, to stand out – lately this has been Australis Power Surge with a red Savvy by DB liner. 5 ↔ What was the last Lipstick you bought? I bought 4 on my Sydney trip – YSL Rouge Volupte #9; Revlon Lip Butter in Juicy Papaya; Revlon Super Lustrous Lip Gloss in Pink Pop; and, Covergirl Gloss Balm crayon in Watermelon Twist. 6 ↔ What Lipstick did you regret buying? I don’t really have one. 7 ↔ What is your Fave Lipstick at the moment or at this moment? 8 ↔ What is your Most Expensive & Inexpensive Lipstick? Most expensive is probably my Chanel or Dior’s, least expensive is a Revlon Just Bitten Lip Stain which was $1.60 because a silly employee at Priceline marked them down all wrong. 9 ↔ Can you show us a Lipstick you Love – lately, this has been Dior’s Rouge Serum, but I can’t remember the shade right now – I love to take it with me for after the above red lip combo has worn off once eating, for a slick of easy pinky red. 10 ↔ Do you Like, Love or Addicted to Lipsticks? Love. I am probably classed as addicted to makeup in general though. 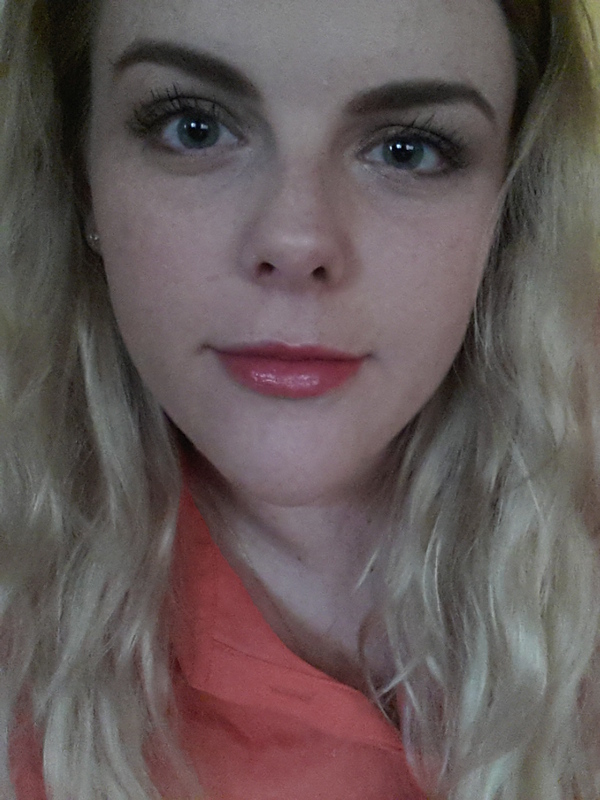 11 ↔ Show a Lipstick that remind you of someone Special – I won’t show, but MAC’s Morange makes me think of my man. Tagged by Ange, (@caffeineinduced) from One Skim Mocha Please, via her YouTube and blog post versions. Feel free to tag yourself and share, share, SHARE away please! I have a similar lipstick collection problem as you do above. It’s just impossible to stop at one isn’t it. I quite admire your collection too. May I say that Dior Rouge Serum looks beautiful on you too. What’s the next lipstick you’re eyeing? Next one would have to be either the Chanel Rouge Coco Shine in Rendezvous (hot pink!) or one of the new Urban Decay Revolution lippies. Just not sure what one!